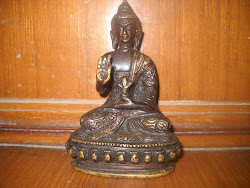 The Buddha was born in Lumbini at the India nepal border and Buddha reached enlightenment at Bodhgaya in India.King Ashoka played a key role in spreading Buddhism across the globe.The seeds of Buddhism are scattered allover India. The buddha at the age of 29 years attained enlightenment at this very place.Meditating under a pipal tree Buddha resolved not to rise again till he knows the real truth.As tradition says Mara the king of illusion send demons to prevent The Buddha from reaching his goal but the compassion and perseverence of Lord Buddha overcame his powers and the truth was revealed to Buddha. 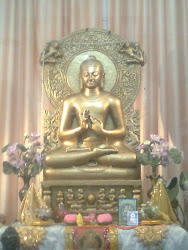 King Ashoka was influenced by Buddhist philosophy and he devoted his entire life in spreading the words of Buddha.Ashoka visited Bodhgaya and is considered to be the founder of Mahabodhi temple.Inside the temple there is a mighty image of Lord Buddha touching the ground,Bhumisparsha mudra.The image is said to be 1700 yrs old and is facing east . Sarnath is a sacred place where Lord Budda after attaining enlighenment went to preach his first sermon on Dhamma and set in motion wheel of law.Buddha first disciples were his old companions namely Kaundinya,Basha,Bhadrika,Mahanama and Ashvajit.At this very place Sangha was established and Dhamma set into motion. Later King Ashoka around 234 BC erected stupas at this sacred place.Sarnath is a peaceful place around 13 km from Varanasi. At this place Lord Buddha attained Mahaparinirvana. Sanchi was a buddhist centre at the time of Great Mauryan Emperor Ashoka who constructed a brick stupa on the local hill and installed beside it a pillar of brightly polished sandstone. Stupas are the most charismatic monuments of Sanchi.Of the three stupa,the brick stupa is most magnificent,called as Great stupa.The faces of pillars composing the gateways are richly carved with decorative art or scenes from Jatakas(tales of previous life of Buddha ) or from buddhist life or subjects related to Buddhism.Two other stupas adore the place but are of smaller dimensions. Pillars of this place are now in fragments and only a few are left now.Temples and monastries are mostly built on the usual monastic plan of central courtyard surrounded by running varandah. The art of Ashoka is represented by superb Lion Capital which is more sophisticated than indigenious art of that time.This art as represented at Sanchi is mainly narrative as its chief purpose was to serve as the vehicle for propagation of religion which it did by depicting scenes connected with Buddha and Buddhism. 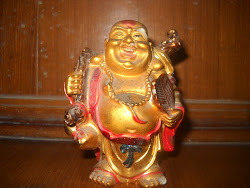 Buddha's presence was indicated by symbols (rather than Buddha himself ) with Bothi tree,footprints etc. Jantar Mantar has pulled in voyagers from all finished India and outside, and in light of current circumstances.